Air pollution control is critical for residential, commercial, and industrial establishments. The equipment and processes involved can be complex and demanding in some situations, necessitating the usage of experts in their installation. 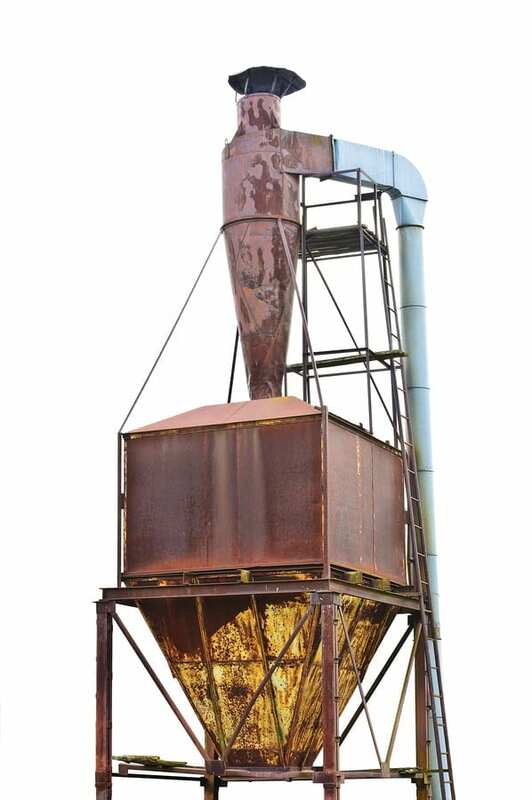 Proper dust collection systems need to be installed after careful evaluation of the clients’ specific needs and their nature of their application. This will ensure both the efficiency and effectiveness of the system in question. Industrial cyclone separators are the most common dust collection systems on the market. These use gravity and a vortex to rid particulates off gaseous streams. The particulate laden gas is accelerated through a spiral motion which impacts a centrifugal force to the particles. The particles are then hurled out of the spinning gas and impact on the cyclone walls, and they fall into a hopper below. These operate by creating a dual vortex to separate coarse particles from the fine dust particles. The main vortex spirals downwards carrying most of the coarser particles with it. The inner vortex, which is created near the cyclone’s bottom, moves upwards and carries finer dust particles with it. These remove more dust than the single-cyclone separators. Even though they operate under similar principles as the single-cyclone, multiple-cyclone separators have a number of small diameter cyclones that operate in parallel and have a common gas inlet and gas outlet. Their operating mechanism creates an ascending inner vortex and an outer downward vortex. This type is the most commonly used as it works like a pre-separator, keeping materials from hitting the fan. This pull-through cyclone system uses motors and fans mounted at the top to pull dust and other contaminants through the system utilizing vacuum. The dust is precipitated to the bottom of the cyclone by the centrifugal effect and collected in an appropriate container. In summary, the pull-through system is the ideal one for removing abrasive materials and other contaminants which could bring problems when in contact with a fan blade. The main advantage of this system is that a user is not much concerned with a system that is airtight as is the case with pull-through system. Like the pull through cyclone it uses the same vortex but the air is pushed through the system by the fan. This system locates the blower before the cyclone. Industrial cyclone separators can also be divided into types based on construction and orientation, body size, and a number of other things. It is important to install cyclone separators that meet your industrial needs at all times. This means considering a number of key things such as the performance specifications, process conditions, construction, applications, and other things. There is always the option of choosing cyclones from an existing manufacturer stock or custom building one. The latter option allows you to have one built to your needs and specifications. The process conditions to consider when choosing a cyclone includes things like the air and the dust conditions. Things such as the temperature, pressure, particle size distribution and dust load are important as they surround the cyclone’s operation. The characteristics of the particulate matter will help in deciding on the most suitable material to withstand degradation. The construction of the cyclone should be properly done to the right sizing and performance standards for its operation. Most important about the sizing is on the inlet and outlet, and also on the body size. The size of body influences the collection efficiency, determines the space and height the cyclone occupies, and is also directly proportional to the overall cost of the cyclone. ISO-certified shops should be able to guarantee a successful job while meeting universal quality standards. Inquire on a given company’s ISO certification status to be sure. The more the years a particular metal fabricator has been in the industry the better they will be in a position to guarantee quality fabrication work. Also inquire as to whether they have performed jobs like yours in the past. This is another important consideration. 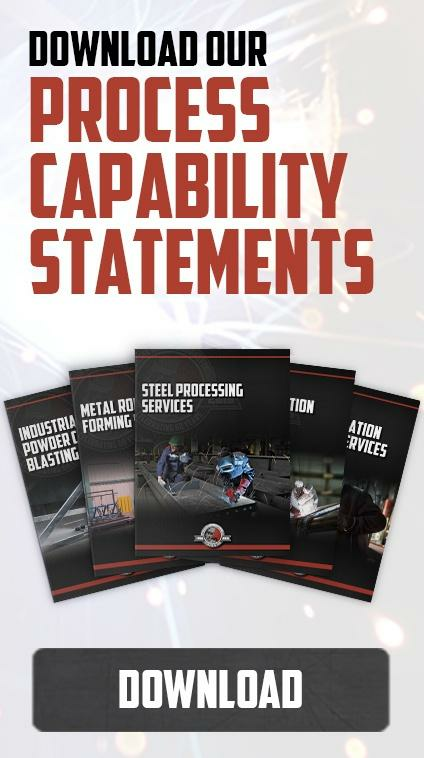 Choose a company that is knowledgeable in issues related to custom metal fabrication and have the capacity in terms of tools, equipment, and staff to deliver on their knowledge. Different metal fabricators will give varying quotations for a number of reasons. It is possible to find one that will work in a cost-effective manner and still do a high quality job. Your priority should be to find one that uses high-quality and long-lasting materials and uses superior techniques without inflating their price too dramatically. Buying your industrial cyclone separators from a fabricator allows for customization to your preferences and specs. Choosing a reputable fabricator ensures you pay for something that will serve you better and for longer. You will need to find a company who can guarantee that the projects you hire them for will always be accomplished within the time period that is agreed upon. It can be frustrating when the metal fabricator you had hired becomes dodgy when it’s time for them to honor their end of the deal. 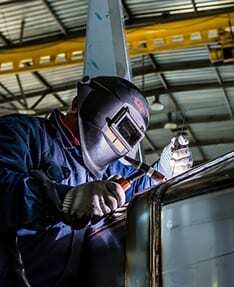 There are two main ways you can end up with the right metal fabricator. Firstly you can do your own research, checking out the internet for potential hires. Their online reviews can tell a lot about what other people think about their work. Another option is to ask for referrals from other people who might know of a good fabricator. Of course, if you’ve found Swanton Welding you are already in the right place. We have the knowledge, experience, and record of client satisfaction necessary to guarantee a quality metal fabrication job for your industrial cyclone separators’ needs.